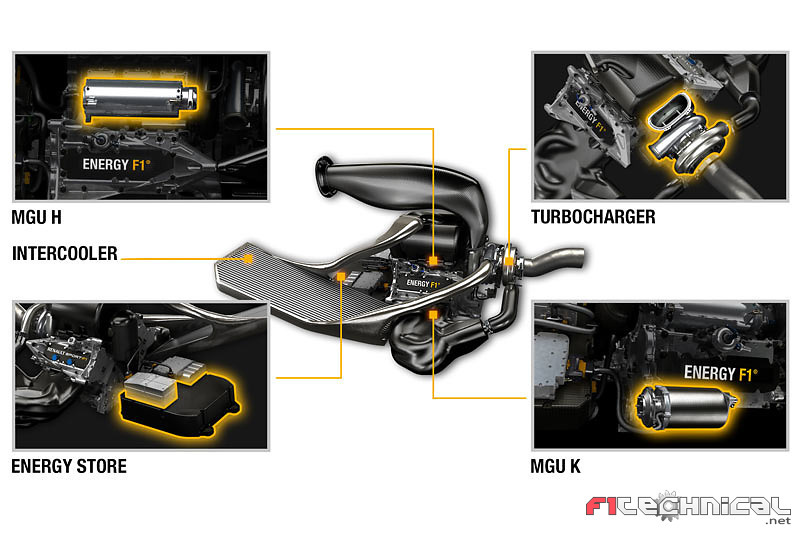 Rob White, deputy managing director at Renault Sport F1 noted: ‘‘The sound of the engine is the sum of three principal components, exhaust, intake and mechanical noise. On fired engines, exhaust noise dominates, but the other two sources are not trivial and would be loud if the exhaust noise was suppressed and contribute to the perceived sound of the engines in the car. ‘‘All three sources are still present on the V6. At the outset, there is more energy in each combustion event but there are fewer cylinders turning at lower speed and both intake and exhaust noise are attenuated by the turbo. Overall, the sound pressure level (so the perceived volume) is lower and the nature of the sound reflects the new architecture.